The New Zealand Defence Force is embarking on a project to build a new enterprise platform to supply technical services across hosted systems, private cloud and public cloud. After initially citing "sensitivities" in refusing to answer questions from Reseller News about about its enterprise platform proof of concept, dubbed the XIE platform, the New Zealand Defence Force supplied responses and documents under the Official Information Act last week. 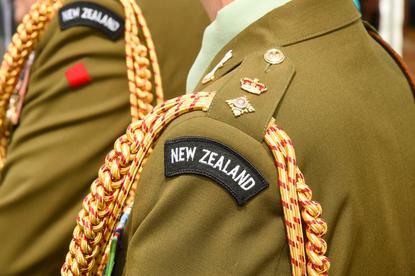 The XIE platform will facilitate plans to strengthen the organisation's cyber resilience, NZDF said. Specifically, the organisation described the project as a natural consequence of tracking the lifecycle of the force's existing IT environment and seeking to "leverage the benefit of emerging technology". For now, the project is in a limited proof-of-concept phase, NZDF said. The tender (request for proposal) states that the project aims to drive consolidation and simplification across domains. The same underlying technology and integrations should be able to be used regardless of domain to limit back-end rework. Most people working on the project will require a secret-level security clearance as a minimum. At the heart of the platform will be a software-defined data centre, with compute, storage and network virtualisation, though it is noted that storage is less elastic than the other two. Multi-tenant capability is also required to allow, for example, NZDF and the Ministry of Foreign Affairs and Trade to use the same services. The test and reference environments developed will be a "true" cloud service supporting broader objectives of scalability, XaaS, multi-tenancy and known cost to serve. Furthermore, it should also support collaboration and innovation with the Defence Technology Agency, other government departments and partners. Initial capability was to be in place this month to support X-IE programme timelines. This was expected to be a public cloud instance followed by a private cloud instance within three months.